Looking for a different type of Birthday card? Try making this cute matchbox style greeting using a Jillibean favor box and brand new Jillibean Souper Celebration stamps. The base is a Party Playground favor box and I stamped the sentiment in blue, red and gray on a Hampton Art kraft tag. Then I added the super cute yellow bow clip. Both of these were adhered to the top of the favor box. Then I went to work on the inside feature, the adorable alligator. I stamped him onto white cardstock in gray ink, his crown in yellow ink and the sentiment in red ink and then colored him in with my colored pencils. Next I lined the favor box with a piece of pattern Birthday paper in yellow text. Then I cut a tab at the bottom to adhere him to the inside of the favor box. But somehow, he still needed something? Googley Eyes! Yep that was it, I had to bring him to life just a bit. A unique way to say Happy Birthday. These would also make cute party favors for any occasion. 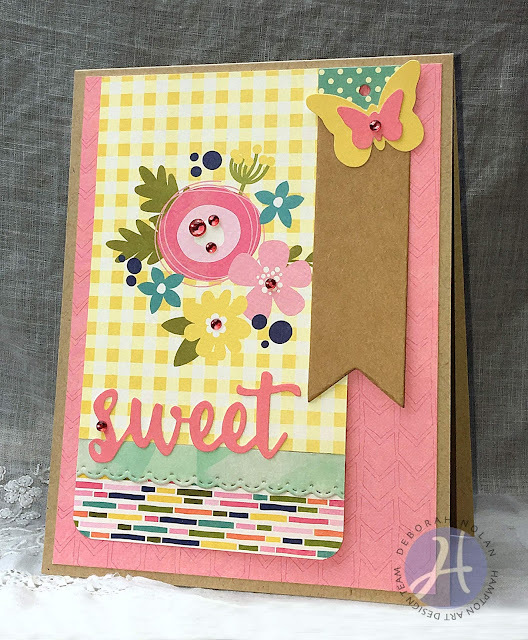 Birthday cards are always needed around here, this is one created with a brand new stamp &amp; die set from Jillibean Soup. 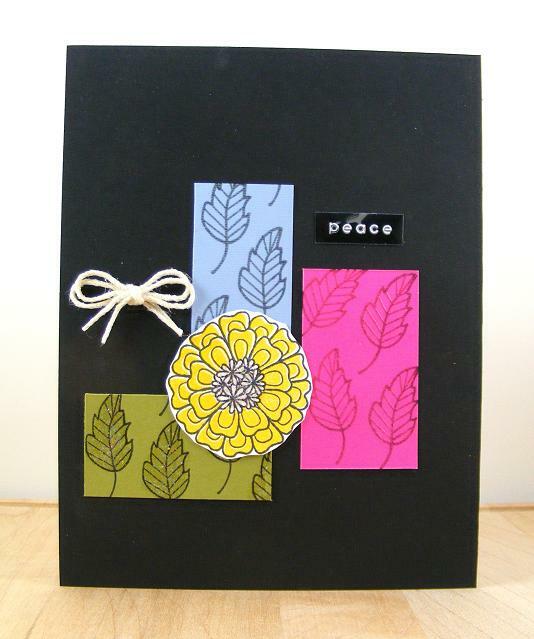 The base was made with brand new Jillibean papers in floral and yellow Birthday text as shown. 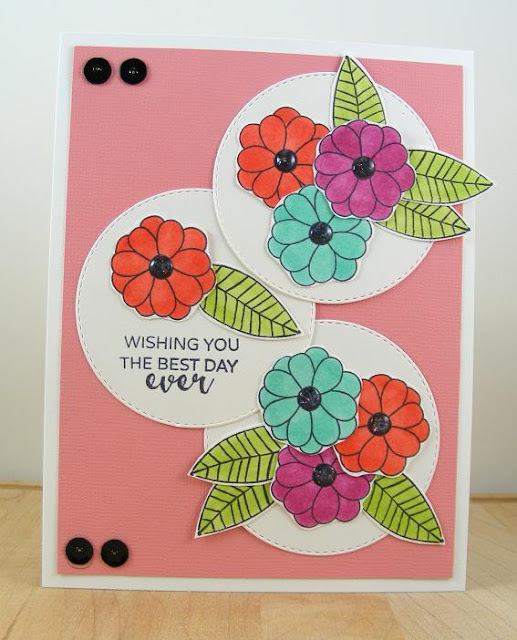 The card base is the small circle shaker which fits in the new “Call Me” stamp and die set. First I used the dies to cut out the hello, telephone and inside circle dial. Then stamped the inside dial onto the polka dot paper and then stamped the phone on the blue dot paper in gray ink. Last I added the shaker fillers of jewels and sequins to the small circle shaker and attached it over the stamped dial circle. For some extra texture I machine stitched the yellow panel to the base. A cheerful birthday card has emerged! 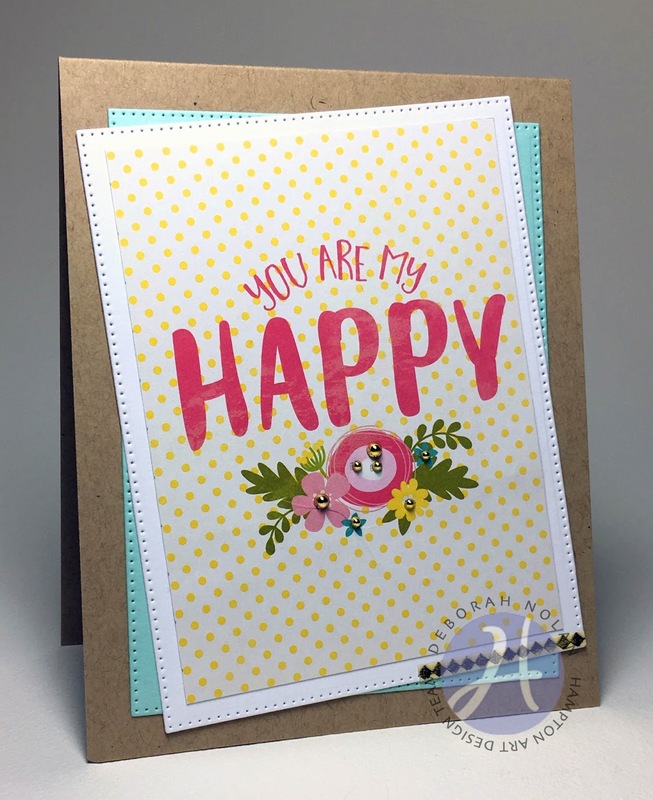 Be sure to check out the new stamp and die sets, they are lots of fun. Pink Drizzle Paint -- Mod Podge by Plaid Enterprises, Inc.
Glitter Finish & Glaze -- Mod Podge by Plaid Enterprises, Inc.
Clear Embossing Powder -- Clearsnap, Inc. Ink Pads -- Clearsnap, Inc. Here is a fun llama card sure to make anyone smile. It was created using one of the brand new shaker cards with the heart shape and the new Jillibean Soup Souper Celebration clear stamp set. 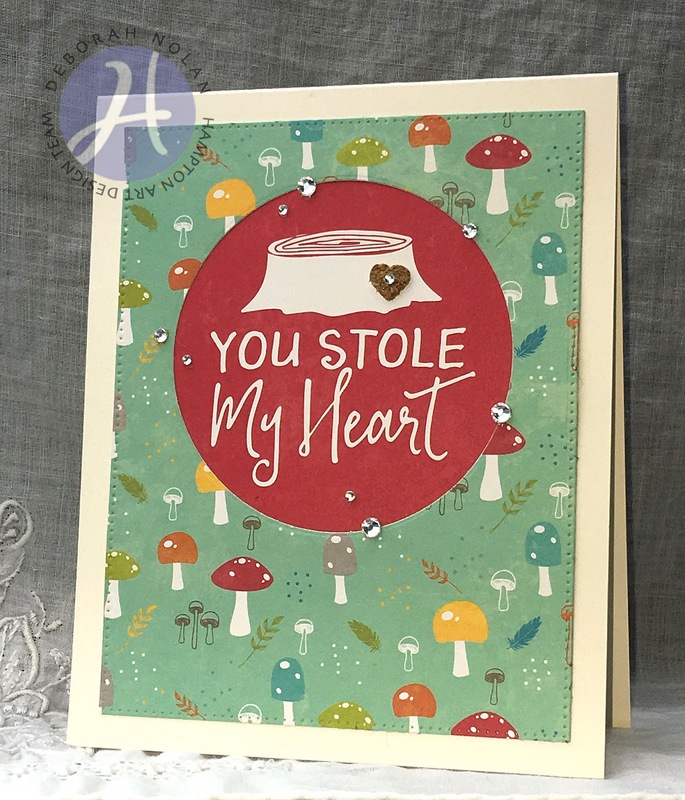 To make this card I started with the blank card base, next I added the washi tape behind the open heart cutout. Then I added the diecut letters to spell out “love” as shown. Then I stamped the llama in gray ink and colored them in with colored pencils. 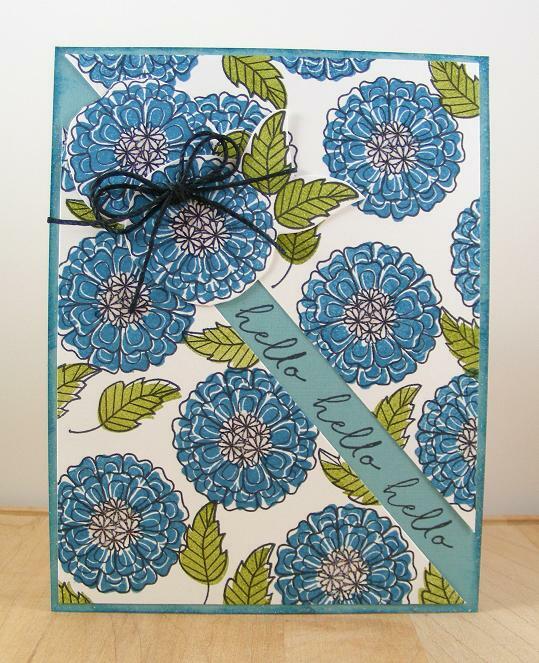 Next I added the floral washi tape to the top and the bottom of the card. Then I added the birthday wishes pea pod lined up against the letter L. I added a blue heart sticker to the letter E. Last I added shaker filler jewels and sequins to the heart shaker and adhered it to the card base. A playful card for all ages I think, who doesn’t appreciate a llama? Good morning! How are things in your corner of the world? 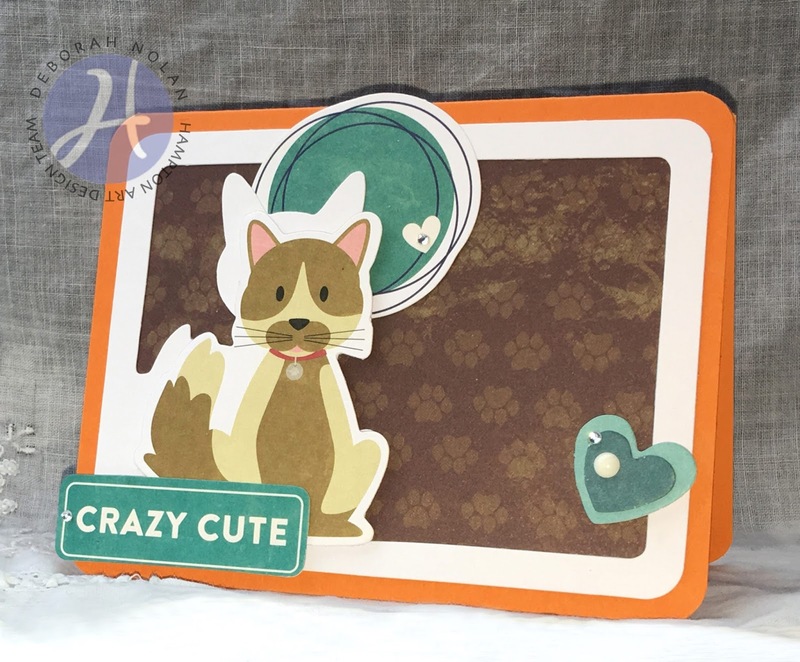 Today's card features some fun goodies from Jillibean Soup's Fur Fusion Soup. Adhere Mini-Placemat to PP panel; adhere to card. Cut orange card base to frame Mini-Placemat and round corners. Adhere cat and heart using foam dimensional tape. Adhere other PeaPod parts and gems. Die cut rectangle from PP panel, then die cut circle from center. Cut sentiment square from PP and adhere to back of die-cut panel. Today's card features some goodies from Jillibean Soup's Healthy Hello Soup collection. Cut 4" x 5.25' panel of PP and adhere to card. Die-cut strip from Summer Red Raspberry Soup and adhere to patterned paper, then adhere to back of Bite Size Bit PP to form one panel. Trim panel sides for uniformity, round corners, and adhere to card. Adhere tag, PeaPod Part butterflies, and sentiment sticker. I got to spend some time last month at the Creativation event in Phoenix, Arizona. I spent time working in two booths, the Hampton Art booth and the Jillibean Soup booth. In the Hampton Art booth I had the opportunity to demo the brand new Stamp Perfect tool, this is one of the tags I made while I was doing the demos that day using one of the new layering stamp sets Hampton released. I really love this butterfly and there are two different butterfly options in this fantastic new layering stamp set. To demonstrate how the Stamp Perfect stamp positioning tool works I began with a plain white Hampton tag and for the base layer of the butterfly I stamped the light green. For the second layer I used the teal ink and for the final outline layer I used the dark purple ink. Last I stamped the brave sentiment in the teal ink color as shown. 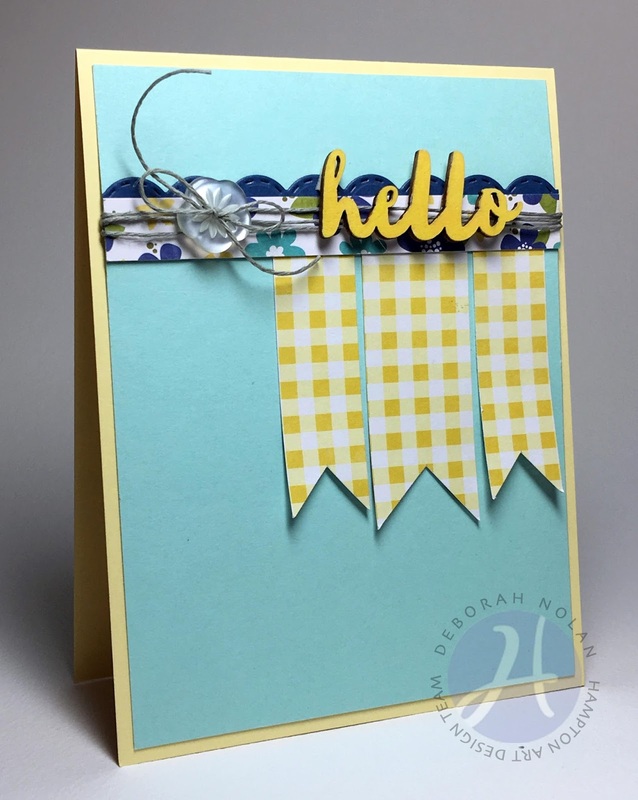 That was it, super simple tag full of color- perfect for your next gift bag! 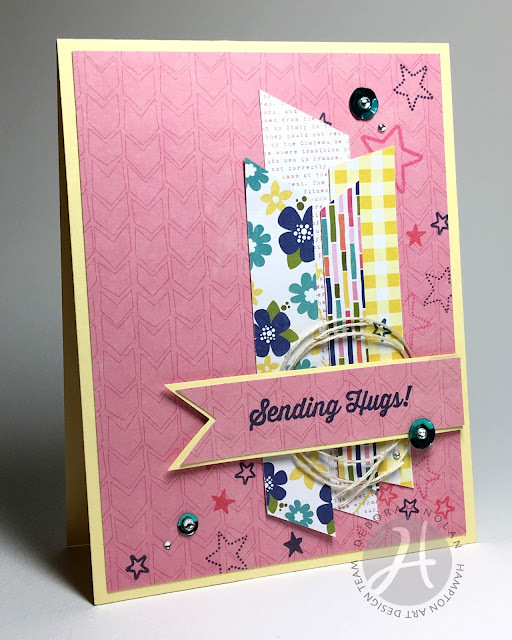 Did I mention how much I love the new Stamp Perfect tool and the layering stamps? Today I would like to share an encouragement card. 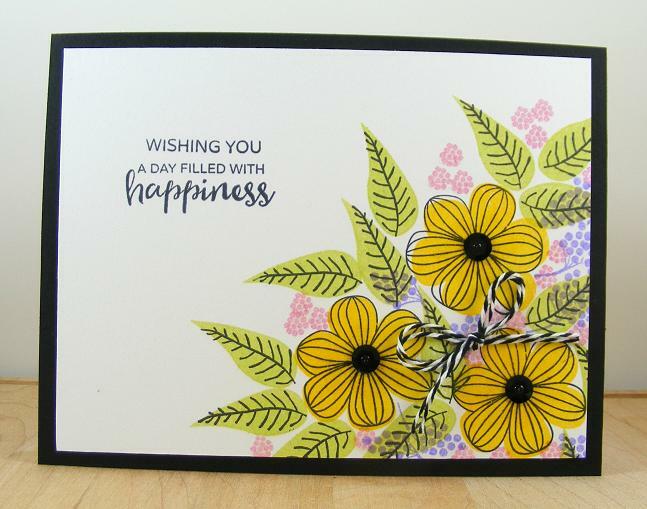 This card was created with the brand new Stamp Perfect tool and fabulous layering stamps from Hampton Art. The card begins with a mint cardstock base and then I began to layer the flowers onto the base in three shades of purple using the Lovely Lilac ink pad set. Using the Stamp Perfect I started with the base layer in lightest purple shade, then switched to the petals layer in darker shade and last the outline detail layer in darkest shade of purple. Then I added the leaves in teal ink as shown. Next I stamped the detail outline layer flower in teal onto the cream tag and then stamped the sentiment in the darkest shade of purple. I added the jute twine to the tag hole as shown and to finish it off I added the teal adhesive sequins. I really love how the color combo came out! Now I have a go-to card for a friend in need of some encouragement. This stamp set has several sentiments I love, I made two more cards this month using this set. Oh and I am totally hooked on the Stamp Perfect too, love it! Cut banners from PP and adhere to aqua panel. 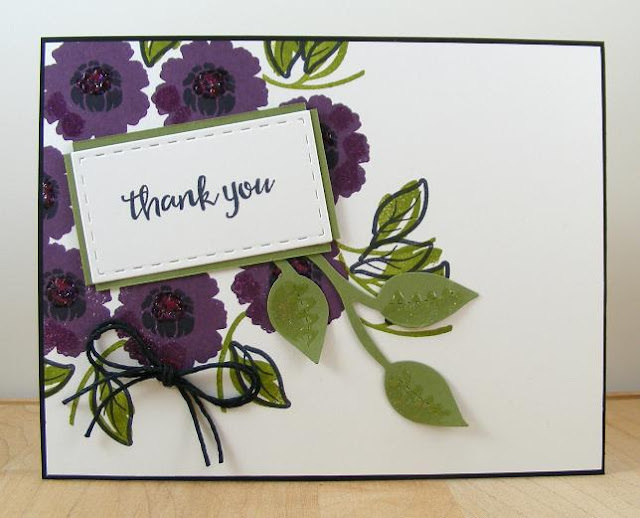 Die-cut scallop from navy cardstock and cut PP strip. Layer die-cut and strip and adhere to aqua panel. Wrap aqua panel with cord, thread button, and tie into bow. Adhere aqua panel to card. Mix paint to match cardstock and paint wood veneer. Adhere wood veneer to card. Cut 4" x 5.25" panel and stamp sentiment. Adhere panel to card with adhesive foam tape. Tear red panel and adhere to PP panel; wrap with cord and tie bow. Adhere panel with adhesive foam tape. 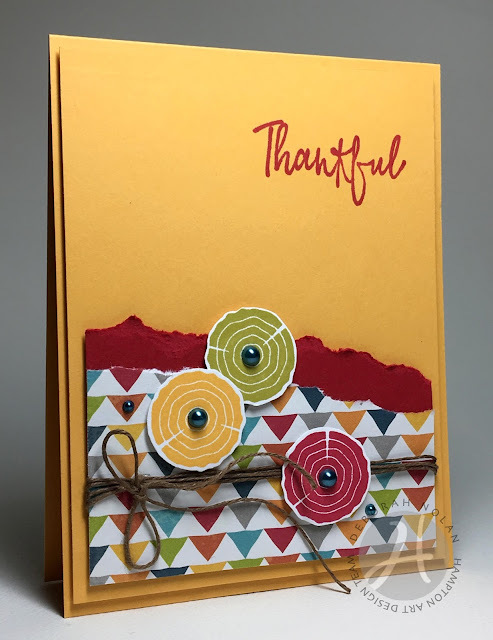 Stamp circles, fussy cut, and adhere with adhesive foam tape.